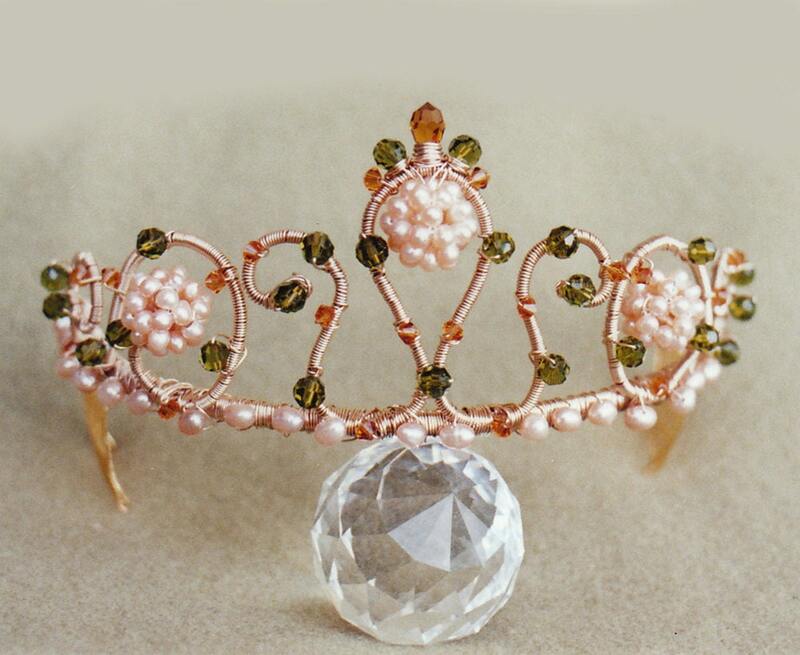 This beautiful tiara is made with peach color freshwater pearls and is accented with Swarovski crystals in amber and olive green color. This tiara measures 2" high and 6" long. Available in gold, silver or rose gold finish.